Ayurveda is considered as one of the most reliable therapy by a millions of people around the globe. People often search for ayurvedic treatment for Dengue Fever. Here we will try to provide in-depth information about Dengue ayurvedic treatment. 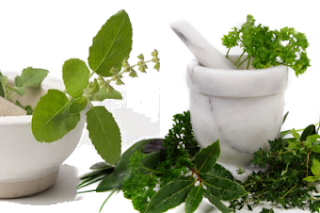 Some of the commonly used ayurvedic treatment for Dengue fever are given below. Mix 360 mg of Shunthi Churna with 125 mg of Hinguleshwar and now take this mixture at least 4 times daily with hot water or milk. Shunthi is ayurvedic name of Ginger which is known for various medicinal properties. 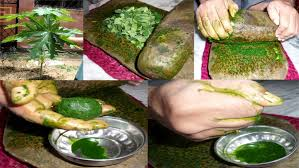 Hinguleshwar Ras contain heavy metal ingredients and it is usually used to treat body-ache and headache. This medicine should be taken strictly on prescription of an Ayurvedic Doctor. Tulsi (Holy Basil) leaves are also used in Dengue Fever. Tulsi leaves provide soothing effect on nervous system and strengthen the stomach. Fruits rich in Vitamin C should be given to patient. Vitamin C helps in better absorption of iron from the food consumed. Coriander leaves (हरा धनिया ) is also used to get relief from dengue fever. Papaya leaves are also considered as a good medicine by some Siddha physicians of South India. There is no studies to support this belief but people say that platelets count increase after taking papaya leaves. Goat milk is also considered as a good alternative to increase platelet count which usually decreases in Dengue fever. You must consult an ayurvedic doctor before applying any of the above given treatments for Dengue Fever.